As a professional therapist with clients in the West Linn area, Lesley Arle is acutely aware of how her daughter's sudden death affected the community. For a while, she was too overwhelmed by her own grief to worry much about how others were feeling. But she knew her daughter, Bethany Schuch, wouldn't have wanted her memory to be defined by sorrow. Schuch, according to Arle, was best known for her loving and caring spirit. 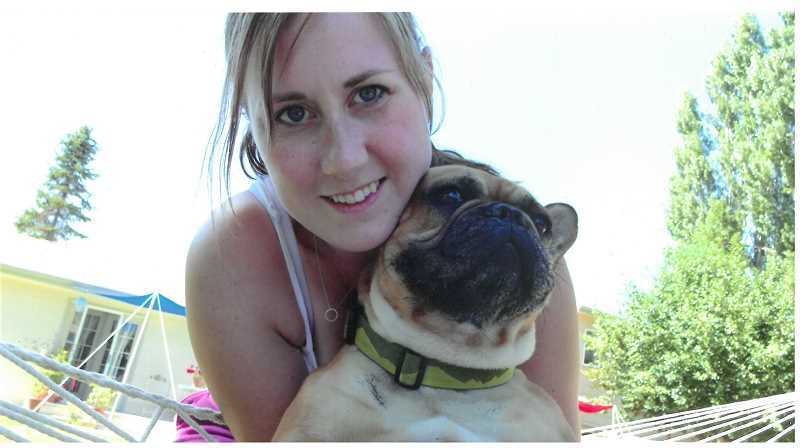 "Bethany wanted to give back to everybody at all times," Arle said. "She'd want goodness to be connected to this whole thing that happened to her, instead of leaving this big pain." Schuch, a 35-year-old West Linn native, was killed by David Cote in a murder-suicide at a home just outside city limits this past March. Cote had been stalking Schuch, and a restraining order she filed against him went unserved when authorities could not locate him. Schuch and Cote were both graduates of West Linn High School, and the community was left reeling after the tragedy. But this weekend Arle and West Linn resident Blair Wolf — whose younger sister was one of Schuch's best friends for more than 20 years — will host an event that's intended to honor Schuch's memory and help everyone move forward. On Saturday and Sunday, July 7-8, from 7 a.m. to noon, community members are invited to Bethany's Blueberry Benefit — a free blueberry pick at a farm Arle bought three years ago. 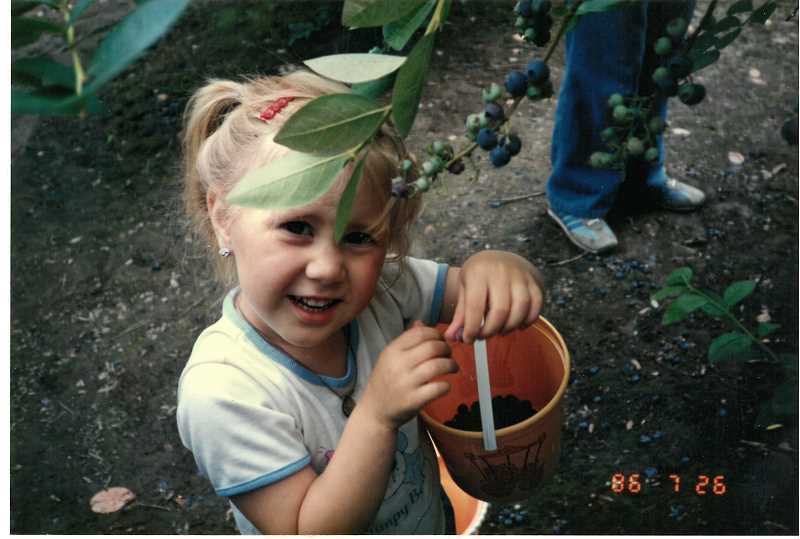 Schuch's love for blueberries dated back to her childhood, and the plan was to eventually turn the Mountain Road property into a French bulldog rescue center. Now, Arle will look to sell the land, but first she has quite a few blueberries to give away. "When I saw the bushes were getting full ... I thought I should do something to honor Beth," Arle said. "So it kind of came together." "When Lesley told me she wanted to put on this event, I immediately asked if I could help," Wolf said in an email. "I knew it would be an amazing way to spread Beth's generous spirit, even without her physically being here, in addition to offering healing to the community." Attendees will be asked to weigh their blueberries once they're done picking, and the limit is one pound per person. As part of the event, community members will also have a chance to learn about the foundation that Arle is setting up in Schuch's name, which will advocate for changes to state stalking laws. The foundation appointed board members in late June, but still can't accept donations until it is officially registered as a nonprofit organization. That milestone and the work to follow can't come soon enough, as Arle knows from personal experience and the research she's done since the murder took place. "Even the police are frustrated ... the law limits what they can do when there's a stalker," Arle said. Specifically, Arle said the group will push for something similar to an Amber Alert that would go out if police aren't able to serve a restraining order within 48 hours. Schuch had a restraining order against Cote, but it went unserved for several months because Clackamas County Sheriff's Office deputies were unable to locate him. "Stalkers are super unpredictable," Arle said. "So if it's a stalking situation, you have to serve (the restraining order) within 48 hours. And if you can't, an alert (could) go out and it becomes a high priority for police in the state. "We want quick action to get the restraining order (served) because once they have it, if they do any more stalking they can go to jail." Arle added that the group will also push for better gun control laws related to stalking. But despite that solemn backdrop, the goal of the event is to honor Schuch's generous and positive outlook on life — as well as her love for blueberries. Arle said there will be a tent set up with pictures of Schuch, and people will be able to write messages to her that will be placed next to her ashes. "Beth was always doing things for others and never expected anything in return," Wolf said. "There was no limit to the amount of work she was willing to put in, especially if she knew it would make someone smile. So I truly feel that this blueberry benefit is a representation of who Beth was. "She helped to plant and grow the berries from the beginning and now the community gets to enjoy the fruits of her labor — she would be thrilled about that." The property is located at 28500 S.W. Mountain Road. Attendees are asked to bring their own containers. Kids are welcome. For more information, contact 503-312-2619.